Best DACs to buy in 2015 | What Hi-Fi? The story of the DAC is a story of peaks and troughs. After a few years in the relative wilderness, the digital-to-analogue converter is back at the forefront of many people's music systems. As digital music has surged in popularity, the role of the DAC has once again become important, helping you to get the best from your digital source, whether that be a laptop, computer or hi-fi separate. From the compact USB DAC, such as the AudioQuest DragonFly, to more substantial offerings from Arcam, Audiolab and Chord we've been through all our DAC reviews to uncover the best DACs to buy, whatever your budget. If you absolutely insist on not breaking three figures for a DAC, then you should be looking in the direction of the latest DacMagic (and dusting off your bartering skills, as you'll need to get a 1p discount or better to creep under £100...). The best USB DAC if you're on a super tight budget, the DacMagic XS is truly portable, requiring no external battery, and connections are simple with just a USB input and 3.5mm output. The sound is anything but, delivering a refined and detailed sound. The USB DAC market was pretty much kick-started by the original Audioquest DragonFly and the new DragonFly v1.2 has simply upped the ante once more. Transparency and detail are what sets this apart from the slightly cheaper DacMagic, which itself offers a slightly smoother vocal presentation. Up to us? We'd take this genius USB stick. The original Arcam rDAC walked away with the Best DAC £200-£400 trophy in our 2011 Awards and the irDAC brings the device bang up to date – and follows its sibling in to our Awards hall of fame (for the second year on the trot). 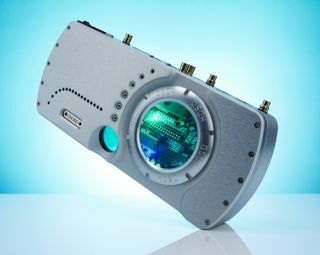 Internal upgrades come in the form of a new power supply, new Burr-Brown DAC and a new output stage, while connectivity is thorough with twin optical and coaxial connections, and both type-A and type-B USB connections. Regardless of which input you use, the irDAC delivers a brilliant sense of rhythm, with punchy basslines, crisp treble notes and altogether rounded sound. In a different class to its predecessor, it also blows away the DAC competition at this price. Audiolab has a fearsome reputation in the audio world, so the launch of a standalone DAC was eagerly anticipated, if a long time coming. With hindsight, we're happy the company took its time. This is not the first time the device has featured in our Awards. High-res audio capable via coaxial, there are optical and USB inputs too but they're imited to 24/96 files, the M-DAC makes easy work of your music, no matter what you throw at it. Weighty yet agile, dynamically powerful but precise, the Audiolab M-DAC is worth every penny of its £600 price tag and will get the very best out of a price comparable digital music system. You’ll need to spend half as much again on Chord’s own Hugo DAC (below) to better it – and this is what makes the QuteEX such a brilliant buy at the money. This is a bona fide digital preamp with DAC, internal volume control, optical and coaxial inputs, two USB sockets, an analogue output, three (yes, three) headphone outputs and, last but not least, aptX Bluetooth connectivity. And it’s portable! That’s right, Chord has even found enough room inside that petite aluminium casework for built-in rechargeable batteries. A two-hour charge should be good enough for 12 hours’ use. It’s really going above and beyond the call of duty for a product of its type, and should be applauded. But even with the exhaustive feature set, Chord hasn’t taken its eye off the ball with regards to sound quality. Hugo’s as happy and communicative with a 320kbps Spotify stream as it is feeding off the meaty resolution of a DSD music file. The Chord’s neutral, even-handed approach to music is as evident whether you’re using it as a DAC or headphone amp – the Hugo is a device of many talents and plenty of charm. We have a lot of love for German brand T+A, even if their profile in the UK remains fairly low (that might enhance the appeal for some). As you might expect for this sort of money in 2015, the DAC 8 can be used as a preamp and has a headphone output, while you'll find balanced and non-balanced outputs. It's beautifully built, as you might expect, though the remote control is a little underwhelming (again, sadly predictable for much high-end hi-fi kit). Sonically it's a perfectly balanced, understated sound. Organisation and accuracy are the name of the game here, so don't expect to be blown away by booming bass or soaring dynamics. It's a brilliant all-rounder, worthy of the cash if you have the system to match it, and performs as effectively as a DAC, preamp or headphone amp. Expensive, yes, but this sort of quality won't go out of fashion any time soon. The Cyrus DAC XP Signature is an upgrade of the original DAC XP, which, at the best part of 10 years old, was rather ahead of its time. With DACs in the ascendency once more, a high-end DAC and preamp from Cyrus is even more in demand than it was then. The familiar half-size casing is here (as are the Cyrus upgrade options) but inside is a new 32-bit DAC chip, tweaks to the circuitry and a whole host of inputs and outputs. But no USB – a legacy of Cyrus' intention for you to partner this DAC with its transports and streamers. You can get adapters if you need a USB connection, though. Cyrus products excel at agility, precision and detail and this is no different. A superb all-round performance, our only caveat is regarding system-matching, when we'd suggest avoiding anything too bright. Despite the arrival of some even more expensive competition, this Chord DAC has remained our favourite high-end digital-to-analogue converter. It's a shame there's no Bluetooth support on this latest model – the original Chord QBD76 offered this – but there is high-res audio and DSD support, plus a solid selection of connections. Regardless of source or your choice of input, this DAC remains a superb performer. Detail and dynamics are unrivalled, even at low volume, while stereo imaging and bass delivery is superb, low frequencies sounding powerful yet capable of great subtlety. The market may be moving at pace but the Chord QBD76 HDSD remains a top-class DAC with which it's nigh-on impossible to argue. It even looks the part.